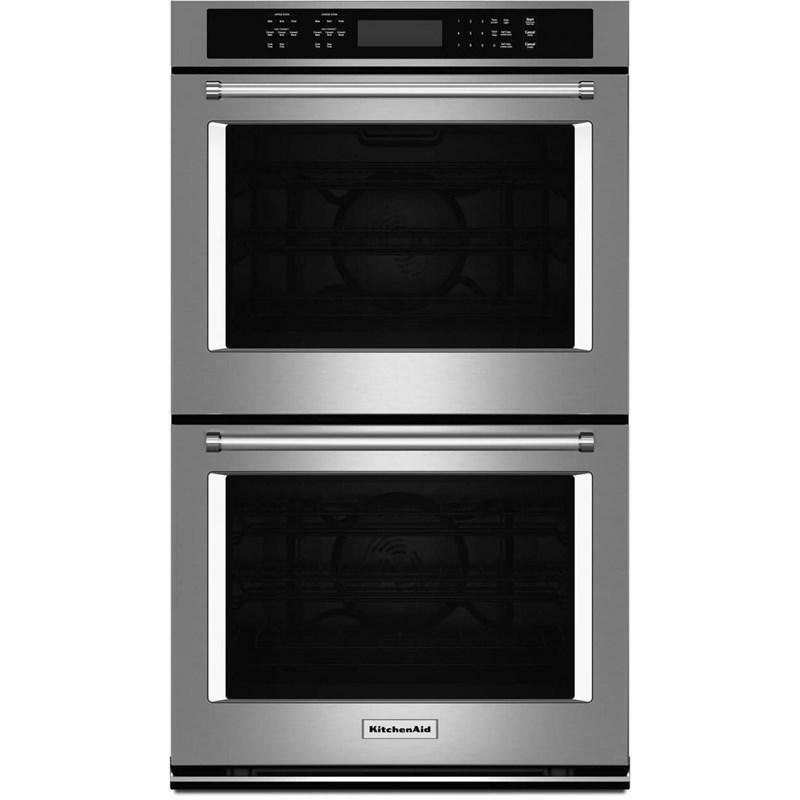 This KitchenAid 30" double wall oven with Even-Heat™ true convection provides consistent heating and even cooking. A unique bow-tie shaped design and convection fan helps ensure there are no burnt edges or undercooked centers. The temperature probe delivers accurate measurement of internal temperatures of meats, poultry, and casseroles without opening the oven. Bold design details are the perfect balance of elegance and functionality. Text in image * Be the first to hear about our upcoming exclusive offers. • Cutout Height 50 1/4"
• Cutout Width 28 1/2"
Larson’s Appliance has a great selection of Major Appliances from top quality brands such as Whirlpool, Maytag, KitchenAid, Amana and more. We are located in New Richmond, WI and our knowledgeable staff will be happy to offer you great service. You won't be disappointed! We look forward to seeing you. © 2019 Larson's Appliance All Rights Reserved.